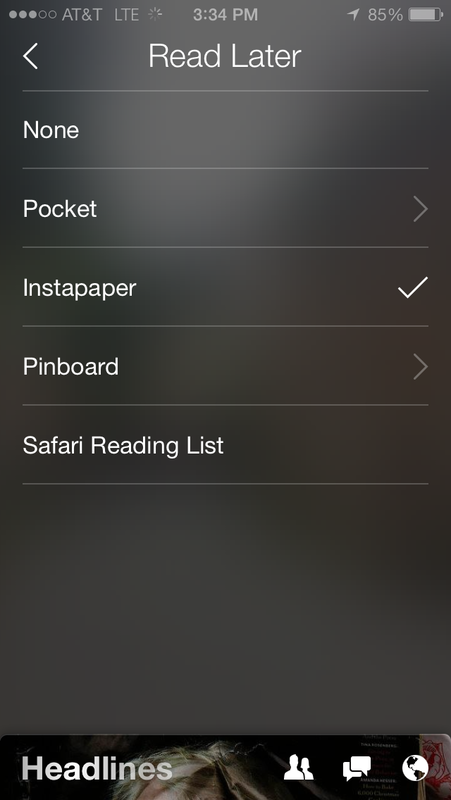 Yesterday Facebook released Paper, a new stand-alone app to browse content. Paper represents a dramatic departure from Facebook as a place to connect with your friends. Paper aims to connect users with the rest of the world. It’s also the first step towards Facebook becoming a media company. Paper is what happens when companies think about what their product would look like if they started over. It’s not your news feed. 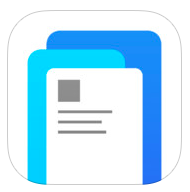 Paper’s overall design is impressive. From how it looks, to how it feels to use, Paper is great. Especially in the touch sensitivity. Paper just feels easy to physically navigate; effortless and fun. In terms of the content, it’s separated into curated channels. One of which is aptly entitled “Facebook”. Other channels include Ideas, Tech, Creators, Flavor, and the like – all topical and curated. I like how the channel selection is limited. The content in the channels come in the form of a lead story and then a set of cards below which can be swiped upward to expose the full story. From there people can comment, like, share, save to a reading list, copy link, or follow/hide/report the “post”. RSS lives! This app was the product of months, if not years, of work and persuasion at Facebook HQ. In December of 2013 AllThingsD wrote an in-depth story on the internal struggles at FB over a project to make the “ideal” News Feed. Certain people within Facebook (the sources for the article) were not happy that Facebook, and not Facebook users, were deciding what content would show up in the news feed. It smacked of elitism. Any major new product from FB that isn’t based on the social news feed is going to be disruptive to the company. People feel threatened. As tech companies grow, they oftentimes create a separate Labs team (like Google X or the original Macintosh team) to work on disruptive projects in peace. Facebook markets Paper as a tool for both reading and sharing, but if you ask me strategically Paper is all about content consumption and the ad dollars that come with it. True, the core Facebook features for messaging, notifications, and friend requests are part of Paper. These are things you have to do at Facebook even if you’re in Creative Labs. Of Facebook’s more than 1.2 billion users, only 10% update their status daily, while only 4% update it more than once a day, according to the Pew survey. About 15% of users comment on photos more than once a day. Interesting phrasing. True, curation is not creating or writing. But it is deciding what users see, which is a departure from your friends (and a little Facebook) being the curators of your new feed. Many would agree that consumption on Twitter is broken. You choose who to follow and are then inundated with a stream of their updates. This is driving up America’s collective blood pressure. Paper is strong where Twitter is weak – on reading. Consider that Twitter’s market cap is $34.6B. This valuation is largely based on the same core competency as Facebook’s – mobile advertising. Can you smell an opportunity for Facebook? Previous post: Is the Internet a public utility? Next post: Who will become the Operating System of Things?